Three doubles and six singles victories earned the No. 16 men’s tennis team their fourth consecutive win over the Illinois Springfield Stars. No. 2 doubles pair junior Christoph Drechsler and sophomore Magnus Mueller, and nationally-ranked No. 1 pair senior Arklon Huertas del Pino and junior Andrea Morlet both won their matches 8-4, respectively. Wrapping up the doubles was junior Nils Hoffacker and senior Marco, winning their fourth consecutive match 8-2. Freshman James Weatherhead opened up the singles play with a 6-1, 6-1 win in No. 5 singles and Huertas del Pino improved his record to 16-1 with a 6-0, 6-1 victory at No. 1 . Razo, Hoffacker, Mueller and Drechsler also earned victories in their individual matches. The scene was much the same for the women’s team as they improved to 11-3 with a 9-0 victory over the Stars. In doubles, senior Selenay Heper and Stephanie Hirsch blanked their opponents 8-0. Junior Florence Renard and sophomore Hanna Volikova won 8-4, and juniors Paige and Dana Olsen finished the sweep with 9-7 victory. Volikova, Renard, Hirsch and junior Mara Hofstetter each won their singles matches in straight sets. Freshmen Bella Bergman and Pam Brito Torres both rallied into three sets to earn their wins. Previously, the Hounds hosted Lewis University, a match-up the team was looking forward to, according to Heper. The matches against Lewis on March 31 proved to be successful on both the men’s and women’s ends. The Olsens started the women’s team off on the right foot, quickly winning their matchup 8-0. All three doubles teams overcame their Lewis opponents, while five singles players won their respective matches, winning overall 8-1. The win over Lewis marked the men’s 20th straight GLVC win in the regular season. The Hounds surrendered just one win in each singles and doubles. Both doubles pair Drechsler and Mueller and pair Hoffacker and Razo won their doubles matches, as well as individual matches. The team overcame Lewis 7-2. 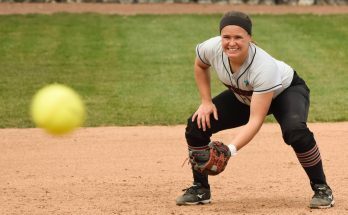 Both teams defeated Grand Valley State University on March 25 and McKendree University on March 26, putting them as the highest-ranking teams in the latest national poll. Hoffacker believes the credit for this ranking goes to his team’s competitive opponents and Head Men’s and Women’s Tennis Coach Malik Tabet. Tabet acknowledges that there is room for improvement, especially in some of the younger players’ transition from freshman to sophomore year of college. “I’ve seen improvement in the level of experience in the players and how they handle things better,” Tabet said. “Obviously, when you transition from freshman to sophomore, you have that change in experience. Freshman year is typically the toughest, in my opinion. There are kids coming from much different environment, different coaching style, and other players that are way more competitive than those in high school. So when the new student athletes come in, it’s almost a culture shock. 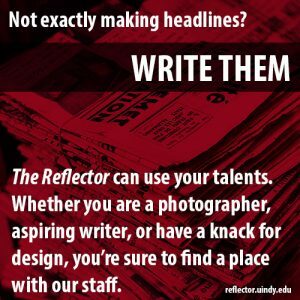 And so they adjust, they digest and when they come back for their sophomore year, that’s where we can see the changes and improvements,” Tabet said. 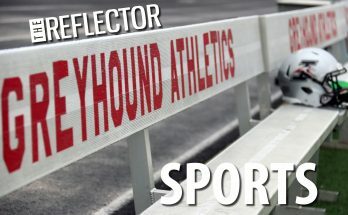 Hoffacker said that he has been adjusting to the tennis program at UIndy and believes his progress and improvement on the team is showing in not just himself, but his team and coach. “I think that I’ve improved a lot. Last semester when I came in, we only played regionals at the beginning of the semester. I worked a little more on my technique, my forehand and backhand and also my serve. Physically, we had a lot of workouts: lifting, running and things of that sort. I think from those I improved a lot of my weaknesses. I wasn’t so fit then, but now I’m pretty comfortable playing in longer matches. I find that, in all, those are some of the biggest improvements that I’ve had so far,” Hoffacker said. Tabet said he finds value in his players but sees Hoffacker’s improvements shaping him into not just a better player, but a better student athlete as well. Before hosting the matches against Bellarmine University in the UIndy Tennis Center on April 7, Tabet hopes to instill confidence and the chemistry behind the game into his team. “It’s preparation. Whenever we have a deadline at a match, I talk a lot about how to get ready physically, mentally and make sure that we fix out knick-knacks. We need to make sure that we take care of our bodies, especially right now since it is toward the end of the season,” Tabet said.